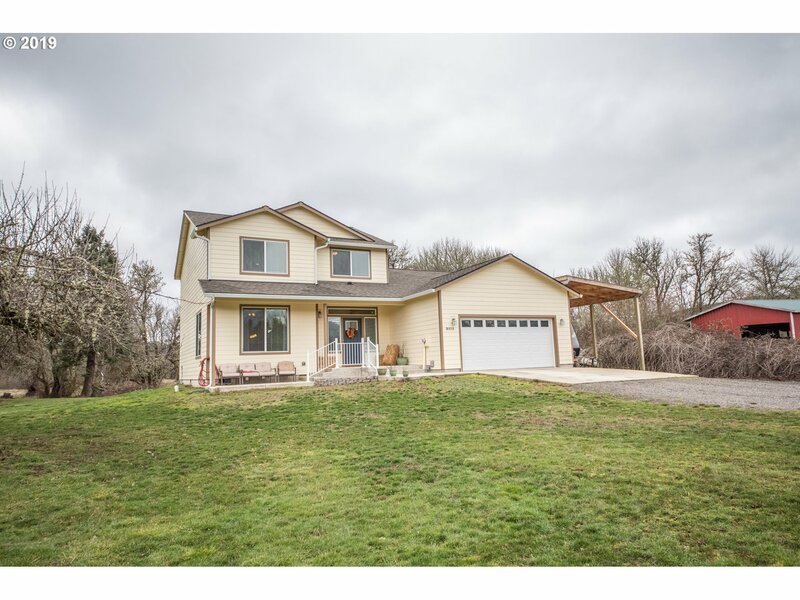 All Springfield homes currently listed for sale in Springfield as of 04/18/2019 are shown below. You can change the search criteria at any time by pressing the 'Change Search' button below. If you have any questions or you would like more information about any Springfield homes for sale or other Springfield real estate, please contact us and one of our knowledgeable Springfield REALTORS® would be pleased to assist you. "Amazing development opportunity or chance to have your own personal river front property inside the city of Springfield. Beautiful level lot with 393 feet of river frontage. City of Springfield has placed a sewer pumping station on the property. Approx 10 acres inside UGB, good portion of remaining 7 acres outside UGB & in a floodplain. Beautiful home, amazing outdoor living space and large shop." "Spectacular and rare riverfront estate on prestigious McKenzie View Drive! Fully remodeled and updated in 2008. 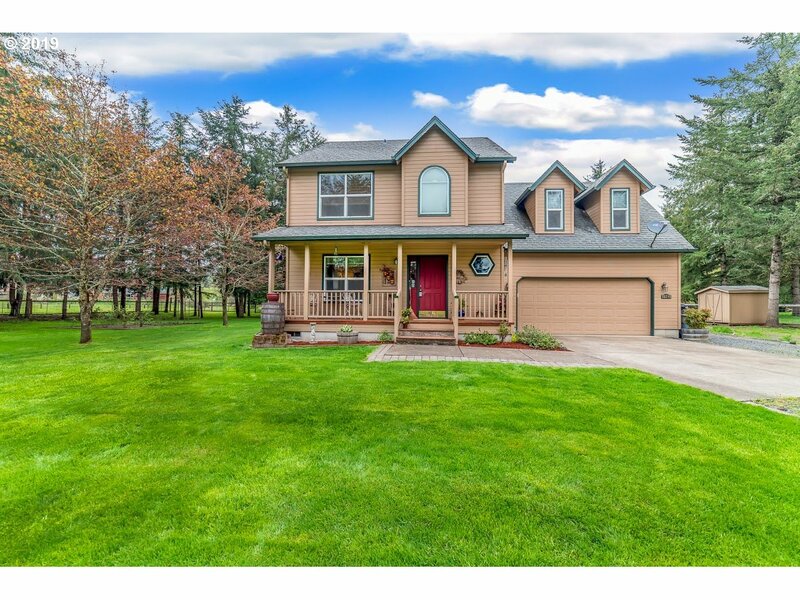 Elegant country location 10 minutes from Springfield/Eugene. Over 8,000 sq ft on 6.69 acres. Includes horse barn, art/music studio, attached and detached garages as well as shop with RV space and 220 power. Property is fully fenced and gated for safety and privacy." 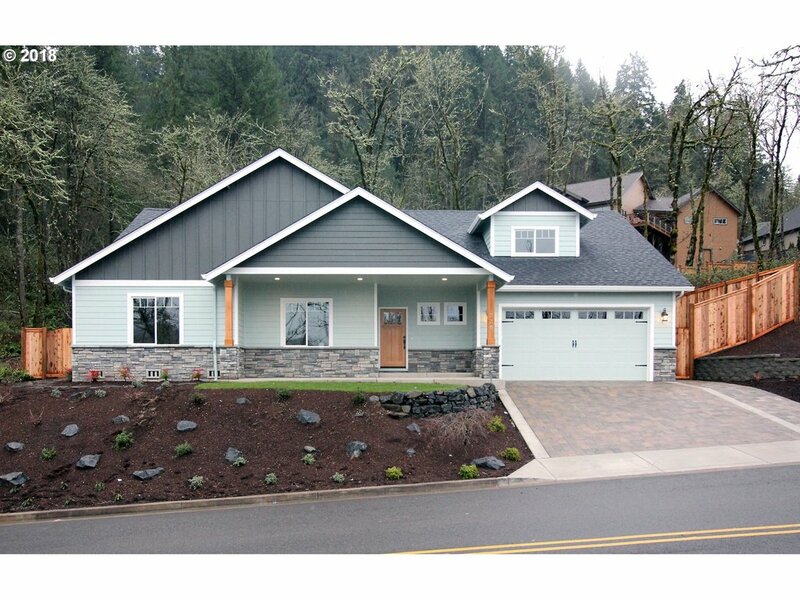 "No compromises were made, the finest of design, engineering, construction & finishes in this custom log home. Unparalleled craftsmanship providing contemporary lifestyle within the authentic & dramatic lodge with main level master, great room living, two guest abundant guest suites. Tons of daylight stream in at every level. two furnaces with top-line filtration, 2 hot water heaters Huge finished 3-bay shop with 1/2 bath +3 c garage"
"A rare opportunity with special amenities. Close in McKenzie River frontage. Operating filbert orchard, newer home and newer shop. Homesite privacy, water rights and more. A very unique and wonderful property. One of a kind property!" "A riverfront paradise! 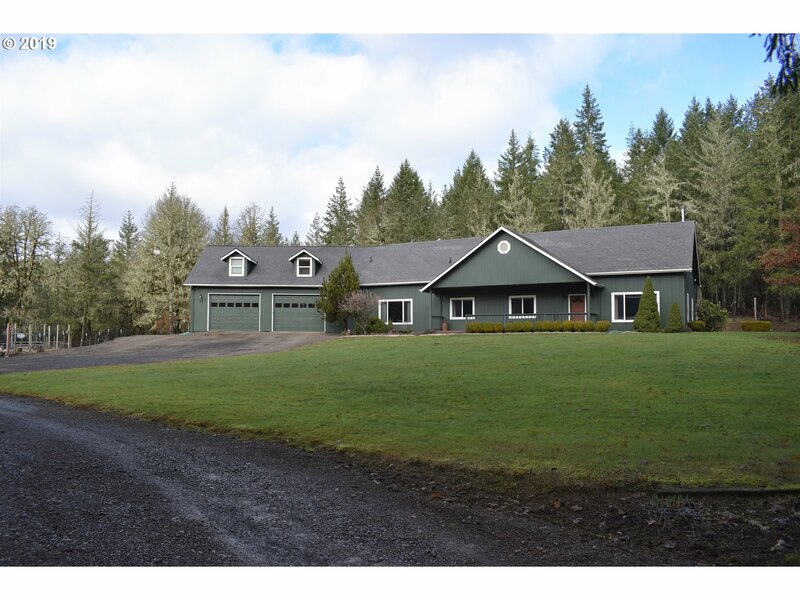 Spectacular 59.5 acre gated equestrian facility on the McKenzie River. Impressive 6 stall barn built in 2008 with tack, wash, feed rooms & farrier bay. Expansive covered steel arena with premium footing, sprinklers, lights, sound system plus 8 more stalls. Park model RV is perfect placeholder on permitted dream home site. Picturesque pond with fountain & fenced pastures top off this riverfront paradise." "Private Camp Creek retreat located at the top of the hill & backing to land owned by Weyerhaeuser. This home features an open kitchen & dining area. Main level master suite & 2 extra guest suites w/balconies. Two separate living/family areas. Outdoor space w/patio, deck, garden & seasonal creek. Fully fenced dog run w/doghouse set w/electricity. Large 5 bay shop. RV hookups & parking. Please no drive-bys. Call for an easy appointment." "Craftsman Estate designed to relax by a lovely year-round creek. 2mins to McKenzie River boat launch. Wrap around deck for entertaining. Country-modern elegance offers open living: Brazilian cherry wood floors, gourmet kitchen, dining & family entertainment. Master suite on main, gazebo hot-tub & walk-in shower. Upper level: 3 bedrooms, a well-lit Turret Studio, balcony & creek views. Sitting & Bonus room. PLUS 3,000 sf RV/shop w/2 bays"
"Horse lovers Dream! 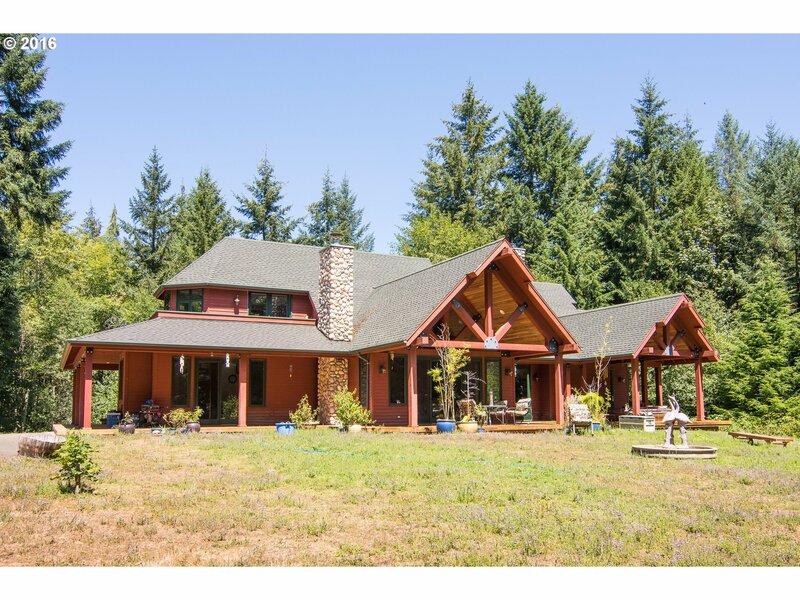 Timber framed home on 27 private gated acres with creek only 20 minutes from town. 16 horse capacity, 40 x 74 barn, 35 x 37 barn, 12 x 14 storage barn, year round outdoor arena and 20 x 32 heated bird aviary (could easily be converted to different usage). Fenced & cross fenced, multiple fenced pastures & has mature timber." "Escape the city and enjoy your own paradise in this private country estate! Elegant custom home offers unparalleled craftsmanship and exceptional amenities is truly remarkable inside and out. Features include gourmet kitchen with subzero/wolf appliances, granite counters and travertine flooring. Detached 3 bay custom shop with 10ft OHDs,commercial floor coating, built in cabinets and a 1000sf finished second story. 30'x50'RV Garage." "Magnificent luxury estate located on 5 acres of manicured land just minutes from town. The interior of the home boasts an open floor plan with gorgeous hickory flooring, granite counter tops, a formal dining room, and office. The Master Suite offers a dual sided fireplace, walk-in tile shower, soaking tub, and large walk-in closet. The home also includes a large bonus room, 3 car garage, covered back patio with a mountain view." "Self contained farm,abundance of different fruit trees. 5 Minutes from town, Approximately 1000 ft of Mohawk river frontage. Numerous interior cosmetic upgrades-custom throughout including pine base boards, upgrading wall to wall carpet plus padding. Electrical panel & wiring upgraded, skylight, custom fireplaces and many other additions.Updated barn in 2004-new metal door,flooring,fencing, added water hydrant, 1000 sq ft bonus room." "1st time on market, beautiful 1 owner home on 21+ acres of pasture. Top condition in & out w/many extras. Home has large MBR suite, huge game room, large kitchen w/island, walk in pantry & walk in closets in 2nd & 3rd BR. Great for horse property. Very private setting w/ 23X40 shop & RV cover. 10 apple trees & over 20 Japanese maples. Only 10 min to town w/Spfld schools. Don't miss this one!" "Beautiful immaculate luxury home features custom detailed woodworking throughout. The light filled interior flows into outdoor deck areas, perfect for entertaining or relaxing. Take in a wonderful view of the Coburg Hills while sitting in the impressive Great Room. Finishes include Brazilian cherry hardwood floors, travertine tile & marble flooring, cherry cabinets, & slab granite countertops. Many more amenities, must see to appreciate"
"Absolutely gorgeous custom home..amazing amenities AND views! 5 lg bdrms, 3 full baths, breathtaking master suite. Custom Cherry wood cabinets, granite, very tall ceilings, tons of natural light,SS appliances, lrg pantry, 2 gas fireplaces, European sinks, tile & Bamboo laminate flooring, French doors,surround sound, 2 levels living space w/ kitchenette on lower level bonus room upstairs. 4.5 car garage and 35 x 17.5 covered RV parking." "Custom blt 1 owner home on 2.42 Acres. Perfect small farm or ranch in quiet country setting. Includes barn & tac room, RVP, carport, fenced pasture & beautiful 2 story setting. Home is in tip top shape in & out. Newer HP, granite counters, stainless appl, w/gas range. Flexible floor plan w 3/bed or possible 4th bed. Plus much more!" "Luxurious Craftsman Style Home in desired MountainGate Subdivision. Lovely open floor plan boasts formal & informal living areas, great for entertaining with Theater, Wine RM , upper & lower Decks. Open Gourmet kitchen w/dual ovens plus butlers pantry. LG Master Suite on main living area w/soaking tub & walk-in shower. Includes: HW floors, Granite, 3 Gas FP, Tile Roof, Security System, XTRA storage, OV Sized 3 Car GAR w/ golf simulator." "Quiet Country Living. You'll find endless possibilities in this 3 bedroom, 3.5 baths, 2919 sq ft home. 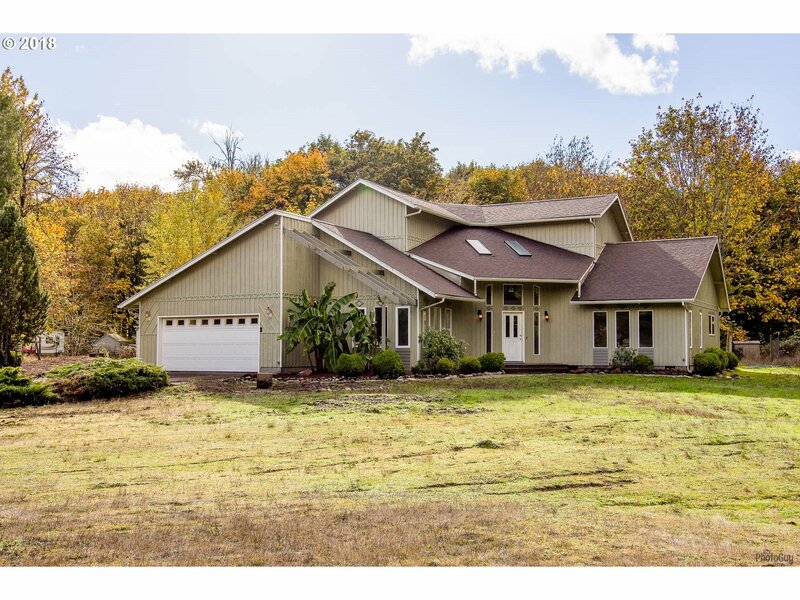 Contemporary style home situated on 5 private acres. Great floor plan for an extended family with its own attached Mother-in-law type suite, included in sq ft. New Roof, interior & exterior paint, carpet, and back deck. Large master suite with views of the backyard. Lots of room to build a shop or barn, and park toys." "Rare opportunity for total privacy in a high-quality, craftsman home! Surrounded by wooded acreage, proximity to town, & great fishing spots! 2016 roof, new heat pump, & heated living room floor. Forest views from every area inside, abundance of natural light, & gourmet kitchen w/ butler's pantry. View the seasonal creek from the hot tub. Amazing air/water quality, & BLM-managed land as your backyard! An entertainer's delight!" "Amazing home on 5+ acres of mohawk river frontage only 10 minutes from town. The property includes a seasonal pond with wildlife, Fruit trees and amazing views of the surrounding mountains. This 2016 built, 4 Bed 2/1 bath home has over 2300 square feet with the master bedroom on the main level. Kitchen includes gas appliances and beautiful granite counter tops with an open floor concept. 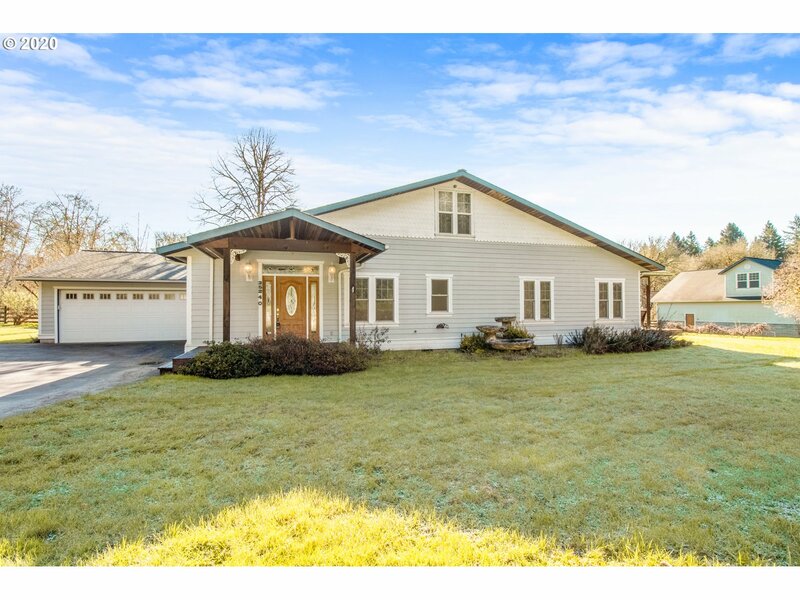 Open houses 2/16 12-2 & 2/17 1-3!" "Imagine a place that offers life in quiet farmland - easy access to town in heart of Thurston. 7.92 acre horse/cattle farm/2-level home, solid wd features, vinyl sdg. Updates: insulation in ext walls, re-wired, plumbing, roof, covrd wrap-rnd deck, vinyl sdg. Shop w/mezz, 2 RV hookup bays, extd storage, cvrd trailer pkg. Dbl- sized barn, 5 stalls, tack rm, 4 fencd pastures, Chkn house, tool shed. Some equip. 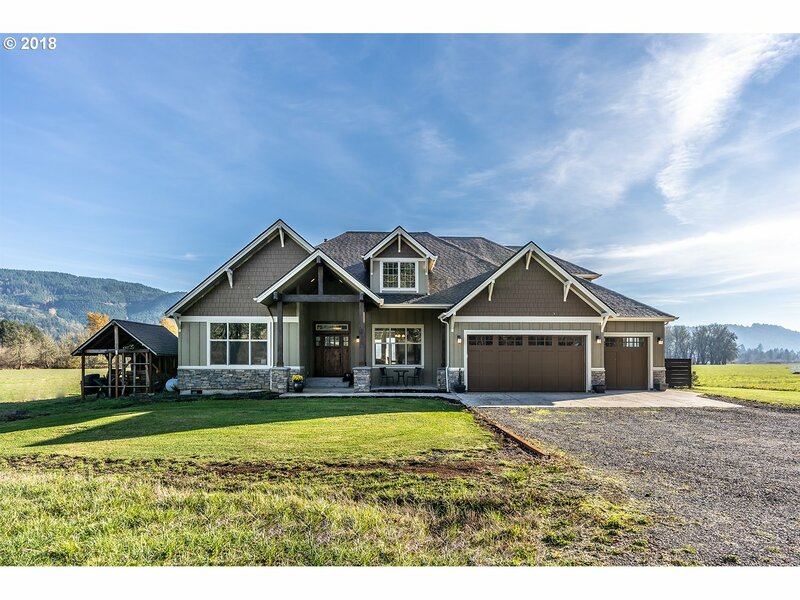 Incls Home Warranty"
"Custom built home overlooks valley views &surrounding mountains. Large open kitchen w/quartz counters and 8' island bar, 9' ceilings throughout, walk-in pantry, gas cooktop island, 12' tray ceilings in great room, master suite w/tile shower and double sinks, fully landscaped yard w/large covered patio & gas fire pit. Upstairs is a second mstr ste/bonus room. RV/boat parking. 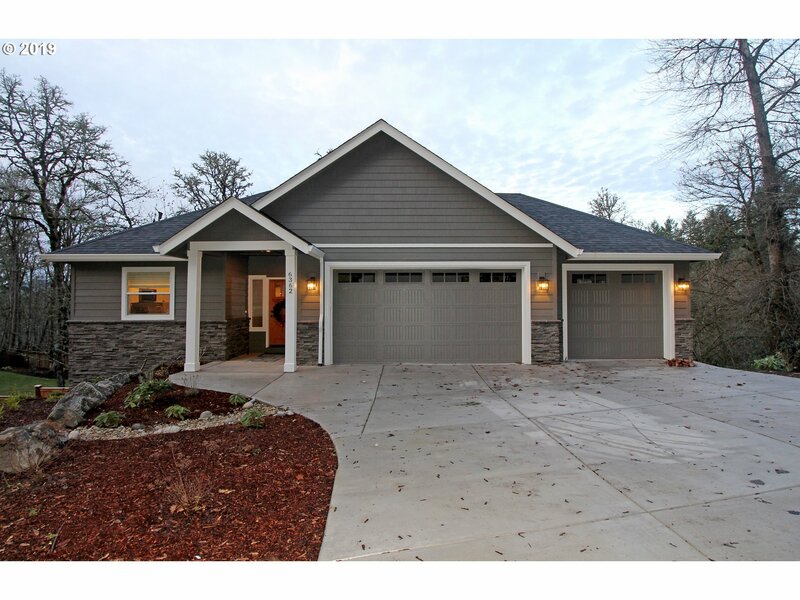 Estimated Completion 2019, photos from a previous home"
"OPEN HOUSE Saturday 3/16 12pm-2:00pm. One story close to new condition Custom home built by Anslow & Degeneault. More than $40,000 in high-end finishing including modern kitchen with custom cabinetry, custom light fixtures, large master with shower and luxury tub, and much more. Walk or bike to the river, Alton Baker Park, Autzen Stadium, and University of Oregon. Shopping and restaurants are just minutes away." 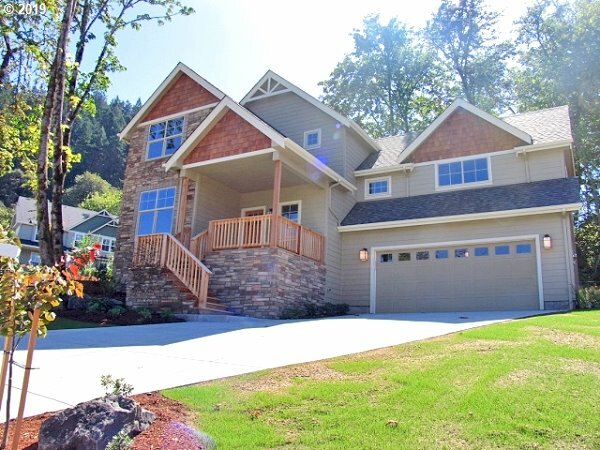 "New home in the Mountaingate Community with expansive views, this 4 bedroom, 2 1/2 bath home has quartz countertops throughout, 13' vaulted ceilings on main floor, bamboo wood flooring, gas appliances, gas double sided fireplace, custom bathroom tile w/ cobblestone floor, 3 car garage, large back yard, and a flat driveway." "Immaculate & beautiful craftsman style custom build by Anslow & DeGeneault.Situated on large corner lot w/amazing views! Gorgeous & Open Kitchen w/large island. Living rm with den off it PLUS a separate office! Beautiful woodwork throughout, spa like master bath, hdwd flooring, built ins, gas appls/firepl, wainscotting, fully landscaped, sprinklers, covered patio,amazing porch to sit & enjoy the views from & so much more! Park nearby!"